Singapore Telecommunications Ltd (Singtel) said it will buy roughly $525 million worth Bharti Airtel stock as part of the Indian telecoms operator's plan to raise $4.6 billion through shares and bonds. Airtel hopes to use the money to cut debt and shore up its balance sheet at a time when the broader Indian telecom industry is grappling with a price war triggered by the entry of Reliance Jio Infocomm Ltd. Under the fund raising plan, announced last month, Airtel plans to sell new shares worth Rs 250 billion ($3.6 billion) for Rs 220 apiece, or a nearly 30 percent discount to its current stock price. It will raise another Rs 70 billion via foreign-currency denominated bonds. "With balance sheet strength being a concern among incumbents especially at a time when continued investments in 4G are paramount, this move should be a positive," Citi analyst Saurabh Handa said in a note after Airtel announced the funds raising on Feb. 28. Airtel's net debt stood at more than $15 billion as of Dec.31, while its current market value is around $17.5 billion. Singtel had a net debt S$9.75 billion ($7 billion) at the time. Singtel said it will buy 170 million new shares in Airtel, India's No.2 telco in terms of subscribers. This will dilute its effective interest in Airtel to 35.2 percent from 39.5 percent. Singapore's largest telecom operator has often said it holds a long-term view of its investment in Airtel, a sentiment it reiterated on Thursday. It owns just under half of Airtel's holding company Bharti Telecom. "Our participation in this rights offering ... reflects our long-standing commitment to Airtel and the confidence in the future of the Indian market," Arthur Lang, CEO of Singtel's International Group, said on Thursday. Last month, Singtel reported a 14 percent drop in third-quarter net profit, hurt as Airtel's earnings fell by three quarters in the December quarter. "There is pricing pressure, but the wireless market in India has already undergone a long and deep consolidation from 10 to 4 operators," Alvin Chia, Research Analyst, Phillip Securities Research Pte Ltd said in an email. "Reliance Jio has been burning cash aggressively to gain market share ... We expect competition to rationalise." 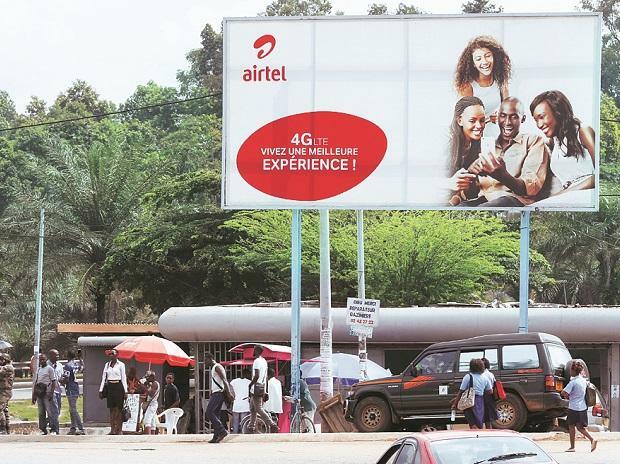 Airtel, however, is pushing for offshore growth amid the price war and lacklustre performance at home. Last month Airtel said its unit, Airtel Networks Kenya Ltd, has agreed to merge with Telkom Kenya Ltd, the East African nation's smallest telecom operator to create a stronger challenger to market leader Safaricom. Airtel's two other major shareholders - Bharti Group and Bharti Telecom - intend to subscribe to their full entitlement in the rights issue, while Singapore's state-backed GIC will commit about 50 billion rupees, Airtel and Singtel said.